Bon Voyage Cruises, Inc. - Cruise Vacation Travel | Personal & Professional - Dedicated to helping first time cruisers and family cruisers. Click on a link below to research a specific cruise line OR call if it isn't listed. 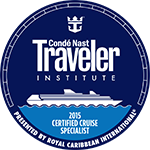 What Is A Certified Cruise Counsellor?